Did you know that practice dance parties aren’t just parties?! Granted there is socializing, snacks, music, laughing, and of course, dancing! But these events are also a fantastic opportunity to both practice and learn. 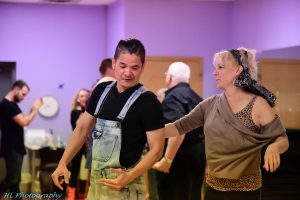 It is not uncommon for ballroom dance students to hold various beliefs and expectations about these types of events. 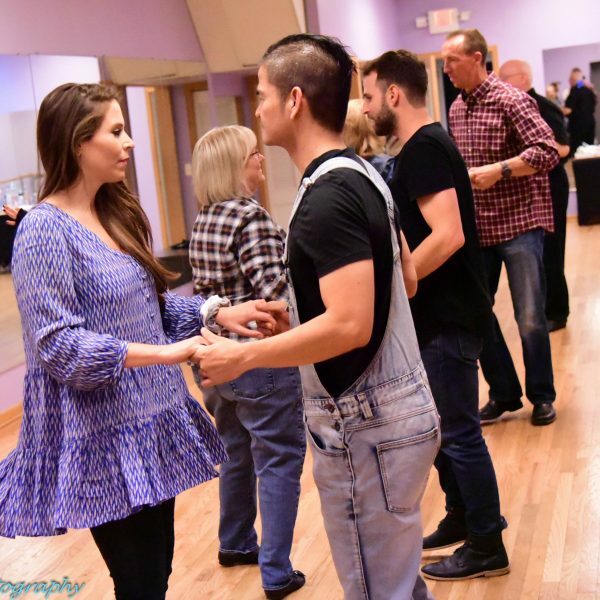 A few popular misconceptions include I won’t be able to dance with my partner for multiple songs, I won’t know how to dance to all the songs, and I have only had a few lessons –I am not ready! That being said, I am hoping to put your mind at ease and get you to your next practice dance party! Reality: Switching partners is an easy way to build confidence and comfort in your part. The problem is getting enough out of your comfort zone to give it a shot! 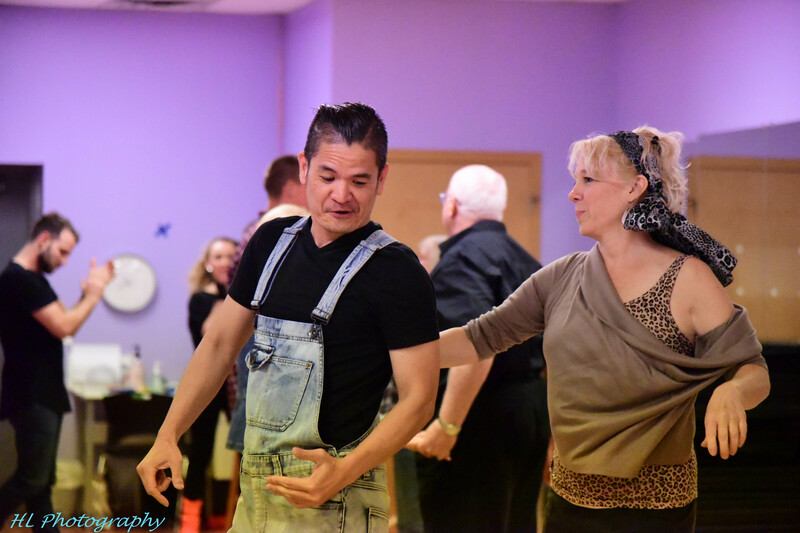 Reality: Not all songs at the party will fit in with your focus dances but each song played at the practice party can usually be adapted to fit your focus dances and help you gain more movement and confidence. Reality: This response is expected from the newer party-goers but after your first practice dance party you will feel more comfortable to come to the next party! Reality: Remember that these parties are called practice dance parties. You are here to practice! And who said you have to dance to every single song? You will be able to watch fellow dancers perform to various songs throughout the night. Reality: Oftentimes dancers with more experience are at the practice dance parties because they honestly love ballroom dancing. And to be honest, they would probably be excited to dance with you. Reality: This is something I hear often as a dance instructor, and I always reassure my students that looking silly is a hard thing to do when basically all the other dancers are dancing (and attempting) the same dance. Plus, you other dances will probably be thinking the same thing. Just embrace the moment and enjoy the music and the people you are dancing with! Reality: Again, remember that these events are called practice dance parties for a reason. 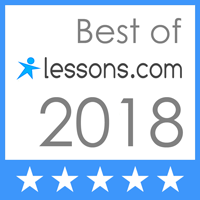 You are here to practice and learn! And even if you have been to a single lesson, you are still able to apply what you have learned. Plus, you will get a snack peak of what other dances you will learn in future lessons. Reality: At these practice dance parties, fellow dancers will change their partners throughout the night; and sometimes one partner may take a break while the other partner is still dancing on the floor. This means that you will be able to enjoy multiple dances with a partner, or partners! Reality: There is no expectation for you and/or your partner to dance for the entirety of the dance party. We all need to take breaks, get a drink of water, and enjoy a few snacks. But what I will tell you is that the songs we play the practice dance parties last about a minute and half; so before you know it, you may dance five songs before you know it!! Building your stamina is just one of the many benefits of ballroom dancing! I hope you have found some solace and reassurance after learning more about dancer’s beliefs about practice dance parties. I know that some elements of this article are easier said than done, but I would encourage you to push yourself out of your comfort zone. Fellow dancers at Lake Shore Dance Academy and myself are excited to see you at our practice dance parties!